Apparently I’m doing a whole series about surprising or confusing things that happen when you get a real job! I mean, Kyle’s job is only like half-real (postdoc so he’s still in training and isn’t paid what he’s worth, but he gets a W-2 so he’s a real employee). I’ve already covered why we chose not to enroll him in his 403(b) and how we muddled through our new health insurance choices. Today’s topic is payroll deductions, which at the moment are super annoying to me! I’ve not really seen this addressed in my corner of the PF blogosphere so I decided to vent my frustrations in a post. I assume this is not annoying to y’all because either you haven’t transitioned jobs in a while or money is not as tight for you as it is for us right now! Anyway, the deductions. Maybe I should have seen this coming, but I didn’t, because I didn’t really know how these worked, having never had a real job before. With our grad student stipends, we had the option of having nothing deducted – we could have taken home our entire gross stipend income. We chose to have income tax taken out before receiving our paychecks so that we didn’t have to pay estimated tax. But that was it! Our take-home pay was simply our gross income minus income tax withholding (we didn’t pay FICA tax). Our health insurance premiums were paid separately for us through scholarships posted directly to our Bursar accounts, so that wasn’t related to our paychecks. Our gym membership was likewise paid for by our departments once per year through our Bursar accounts. Our parking permits and any other random fees that we were responsible for were assessed to our Bursar accounts and we paid them once per year. When I saw Kyle’s first month’s take-home pay, I was like, okay, that’s what we’ll have to budget on for this fall. But then we realized that we didn’t have any health insurance premiums removed that month because we were both still covered by our student insurances for that first month. Then, the next month, we were hit with double the health insurance premiums removed, for that current month and for the next month. Finally, in September his only payroll deduction was one month of premiums. So Kyle had an unusually high take-home pay (which I unfortunately took as normal at first because FICA taxes are so shocking), followed by an unusually low take-home pay, and lastly what should be a normal take-home pay. But it doesn’t stop with our insurance premiums. We also decided that Kyle will join the university gym (even though I am working out at home) to have access to certain facilities. Well, the gym membership fee is also taken out monthly as a payroll deduction. That’s not so bad in itself as we know what the monthly charge is, but apparently when you sign up you have to pay for a few months in advance and they don’t tell you exactly what that amount is. So whenever he signs up his take-home pay will have another big chunk removed and the stable take-home pay point will be delayed another couple months. I know I shouldn’t complain too much because payroll deductions are actually great in a lot of ways. You can reduce your taxable income by using payroll deductions to pay your health insurance premiums (in most cases) and to fund a traditional 401(k), for instance. 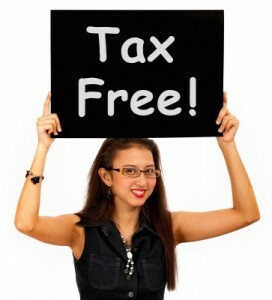 I’m sure it also helps some people to keep their taxes and retirement savings automatic and out of sight/out of mind. But right now in this transition period, it’s really irking me that it’s taking months to figure out what our take-home pay will be! I think the real issue here is my need for control and my eagerness to have a budget set for our fall one-income period. I know it doesn’t really matter whether we pay for the gym membership or whatever directly out of his paycheck or manually after we receive the paycheck – it’s the same charge either way. But I do a lot of weird nit-picky things with our money that don’t make a difference so I guess this is just part of my personality! I do worry a little bit for people who aren’t as proactive as I am to go into the pay stub to figure out why the take-home pay is what it is and to make sure there aren’t any mistakes. And since our cash flow will be tighter for us over the next few months than it ever has been, it’s important to me to be prepared as best as possible. I’d honestly rather pay for one-time charges out of savings at this point and have the stable take-home pay! I’m also slightly concerned that it will be more of a hassle to cancel a payroll deduction than it would to just stop paying for a service directly, but that may be unfounded. I’m sure we’ll get used to the payroll deductions and they won’t feel so bad once we have a consistent take-home pay. This is how most workplaces function, after all. But I have to admit I’m experiencing some growing pains! I’ll probably grumble about payroll deductions even further if we ever decide to enroll Kyle in the university’s 403(b) since that would change our taxable income as well. Did you find a fluctuating take-home pay confusing when you started a job or did it stabilize quickly? Do you think payroll deductions for health insurance, retirement, and workplace services are positive or negative, on balance, for your family? 29 Responses to "First Job Problems: Payroll Deductions Are Annoying!" Practical tip for the gym membership – sign up through Live for Life vs through the normal recreation membership website. It’s the same price (may even be a tiny bit cheaper), and it offers the ability to cancel at any time (normal way you will have to commit to the rest of the year-runs through June). And you can pay by credit card for the first payment, so you know exactly how much you will be paying at once. Then they do monthly deductions after that. Yes!! Thanks for letting me know all that info. I knew LfL had a discounted membership but not that we could avoid the payroll deduction on the upfront fees. You’ve solved my future deduction problems! Trust me, you are not the only one frustrated by this! It was a little shocking to me when I started getting paychecks for my summer job last year – the income, FICA, and state taxes just took out a huge percentage compared to my grad student stipend (too much, I think, but I didn’t change my withholding). Now that my husband’s starting a postdoc, I totally rained on his parade about this when I budgeted 🙁 He was excited by the bump in yearly salary, but then I calculated how much would be withheld for taxes and monthly health insurance premiums (which we also had paid by a separate scholarship), said “ok, you’ll bring home $X more per month,” and then worked out that our increases in rent and transportation costs alone add up to $X + $50. He was like, “Oh no! I thought I was doing good getting a better paid job!” and I was like, “You are! But I think they should pay you more!” Post-doc life…. My estimate could be wrong, of course, but I sure hope it’s ballpark right. We’ve got another two months before we’re down to one income, so by then I hope it becomes clear what we have to budget with. Has Kyle adjusted his allowances? Even with the “correct” number of allowances on his W4 according to the questions they ask on that form, it’s virtually guaranteed to be incorrect because he started his job partway through the year – tax withholding assumes that for every paycheck, you are earning at the rate for the entire year. I sat down with one of my friends to calculate this – and she ended up claiming 6 allowances, when the worksheet told her to claim 2 – because she started her job halfway through the year. We had to pull up the tax instructions the employers look at to determine the withholding that her employer would use. Now of course, if she hadn’t done this she would have simply gotten a refund early next year. But, she has student loans accruing at 6.8% interest, so getting a refund later is not ideal. Ugh, the withholding allowances make no sense to me! However, I am tracking our tax withheld vs. estimated tax due and we will owe a bit at the end of the year so we might end up paying estimated tax in Q4 because of our side income. I made a sweet spreadsheet to track our taxes withheld and owed… maybe I should post about that… 🙂 However, we might be over-saving into our own Taxes savings account because Kyle’s withholding does cover his tax due and a bit more, but at least that’s just moving money around on our end. Good suggestion! My direct deposit amount is different almost every month. I save the extras, so I don’t really worry about it too much. January still had my lots of W-4 allowances set from December, so I had $1,000 too little income tax taken off. February was “normal”. In March, I calculated I needed another $100 taken off each month to have enough income tax withheld. April, medical/dental/vision insurance premiums went up marginally and I stopped putting money into an HSA. In May after my bonus came through, I realized I didn’t need to have that extra $100 in income tax taken out each month. June was “normal”. July, I finished maxing out my 401(k). August and September were a new normal with no 401(k) deductions, but with the October paycheck I will stop paying Social Security tax, so my paycheck will be slightly more than normal. November and December will be the same with no Social Security tax taken out. Wow! I think that would drive me nutty! But as you said, above a certain amount it goes to saving, so it doesn’t affect your spending bottom line. These last couple months it definitely has for us, though. :/ It was really more that I wasn’t expecting these big swings and was annoyed that we didn’t know what our take-home pay would be long-term. I had a similar issue as well. When I was a grad student I knew what I was getting. Then I worked at the university without any benefits so it was pretty easy to calculate again. I moved to small company without benefits. So after I took out taxes it was just straight salary. When I transferred from that to being hired on as an employee at my current unviversity, I was hit hard by what my take home was. Sure Now I have a retirement deduction, and life and health insurance, etc, but even with a 12.5% salary increase I negotiated, I have $1000 coming into my bank accounts per year. I got too used to having full access to my salary when it didn’t have deductions, and I know it isn’t comparing apples to apples, but it was a shock. Since it is something that varies quite a lot and is employer-dependent, my next job might take $100 more or less per cheque when I change. At least I will be more prepared for it this time. Alicia recently posted..Happy (Canadian) Thanksgiving! When I changed from trainee to faculty, I had significant increases in my salary, but also opted for significant deductions as well (mostly voluntary such as extra life insurance, health FSA, 403b, parking etc) Basically anything I could do pre-tax I did-to cut the sting of the high marginal tax rate. 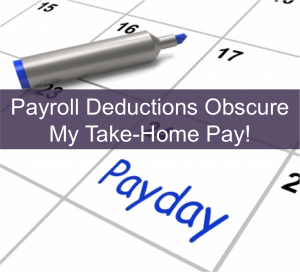 I was in for shock for what my post-taxes, post-deductions take home paycheck was. It was no where near as much as what my gross income would reflect. After I cap out some taxes, my checks may go up a little. Anyways, I would advise to budget using some smaller portion of the paycheck (like what the absolute minimum check would be) and just have the extra stuff be gravy and shunted over savings account at the end of the month. I can’t do the zero sum balancing but at least I know I’ll always have enough in my checking for the auto-paid bills. Don’t forget about unexpected tax liabilities! It was basically $500 that I hadn’t expected to owe in April until it showed up on my W2 as a $2500 benefit. Our university seems to be handling the health insurance premiums properly by listing them as pre-tax on Kyle’s pay stub… I’m hoping your situation was unique (and unfortunate). My pay stub has always and still does list health insurance as a $0.00 deduction. Despite my recent change from non-comp to comp, I see no change in the health insurance line item. In theory it will not show up on this year’s W2. I’m not optimistic. Hm, maybe this is what Richard was talking about. Can you provide some documentation so I understand better? Why would our portion not be taxable but the employer’s be taxable?? Which box is it in? Ah, I was mistaken. It is reported on the W-2 in box 12-d, but is not taxable. Not sure why the IRS requires it on the W-2 and personal income tax reporting form, but maybe it has something to do with satisfying the requirements of the affordable care act? That would explain why it suddenly showed up two years ago. Yes, I hope we’ll see something in box 12-d at the end of the year and not a mysterious addition to box 1, as Richard saw! I think it does have to do with the ACA – but I’m all for it as it increases transparency. Anyway, I hope it calms down soon. I agree that it is really unsettling not to *know* — I just want to be able to plan for what I’ll have. We really just had to wait to the end of the third month for it to be normal, except for the gym thing but that’s just because Kyle hasn’t signed up yet. But that three months plus the time between when he got his offer letter and when he started felt long! As you said, it’s put off being able to plan. Haha, yes Leigh is a high earner. 🙂 You should check out her blog! We had a big issue with payroll deductions this year because my hubby’s insurance that covers our family increased and that extra $100 a month really adds up. Even $20 here or there makes a significant difference to your lifestyle, and it’s hard to account for those deductions in advance. Oh man, this would come up yearly after open enrollment, wouldn’t it? Bummer. It’s just so surprising to see a different number coming in than you’re accustomed to, and then you have to hunt down the pay stub to figure out why. I can understand how it’s frustrating to never know exactly how much income you’re working with – unfortunately, that’s my life. Knowing how you can live on the least amount, in this case the smallest take home pay month, is what helps me. Stefanie @ The Broke and Beautiful Life recently posted..Is Assuming the Worst Keeping You From Saving Money? It’s really that we are not accustomed to this fluctuating take-home pay – and Kyle is salaried so we weren’t expecting it! But you are so right that this is typical for many people. At least we are living “on time” by having our current month’s income fund the next month’s purchases instead of living 1-2 months behind using credit cards! This way we have the time to adapt our spending. 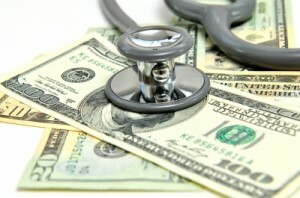 I am actually fine with the deductions for health and other insurance because it is some investments for the future. What I am annoyed at is the tax because it’s 12% of my salary. Imagine how much I am deducted with. The truth is our tax is I suppose one of the biggest in the world. Jayson @ Monster Piggy Bank recently posted..Is it OK to make money from others fear? Just wait until you have to start a business! MORE taxes to pay and FICA tax doubles. Any wonder so many students go from political left to middle or right after they get a job and have to pay taxes? Hooray! I’m paying both sides of the SE tax for my contract work now, and yeah it’s a pretty big bite! Only 36.1% of my gross SE pay is available for our budget after taxes and our percentage-based budgeting allocations.